Top PC games have always supported cutting edge audio as well as video. Here at Videogameperfection.com we love retro gaming and not just on consoles. Our sister site, Play-Old-PC-Games.com has guides to getting dozens of older games working again. One of the most confusing aspects of playing older games on the PC is understanding how to adapt your system to best cope with the changes that have happened to PC audio hardware over the years. In this article we’ll attempt to explain in as simple terms as possible just what the state of play is with sound, surround sound and legacy and modern PC games. The evolution of PC soundcards and sound output doesn’t get as much attention from the mainstream PC press as other components, such as processors and graphics cards for instance. PC sound has changed quite significantly since Windows XP however. Back when XP was king of gaming, Creative Technology Ltd dominated PC sound cards and their Sound Blaster X-Fi chipset was all but a requirement for high-end gaming PCs. Things changed dramatically when Windows Vista came along however. CPUs were getting faster and faster and the need for hardware accelerated audio simply wasn’t there any more. 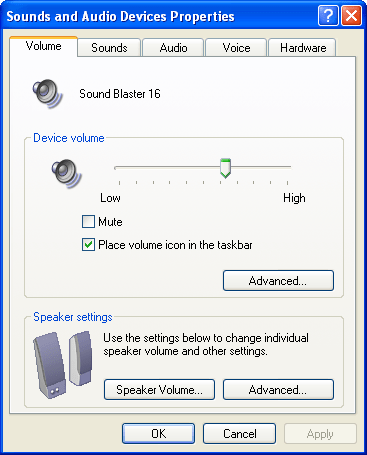 Microsoft quietly dropped hardware accelerated audio support in Vista, breaking true compatibility with hardware accelerated DirectSound and the X-Fi chipset. Microsoft’s decision to remove hardware accelerated audio support had a number of knock on effects. A large number of older games would only support surround sound using hardware acceleration. If you’re playing an older X-Fi or DirectSound game under Windows 7 or 8, chances are you won’t be able to select the highest audio quality settings any more. You will still be able to get sound, but will be restricted to stereo only in most cases. Of course, a number of workarounds for this problem have since appeared. One workaround is to simply keep using Windows XP. Not as your main operating system of course, but configured as a dual boot or alternative boot option. This is the only 100% compatible solution but it is a little inconvenient. You will need to reboot your machine into XP every time you want to play a X-Fi or hardware accelerated audio game (hardware accelerated audio does not work in a virtual machine). 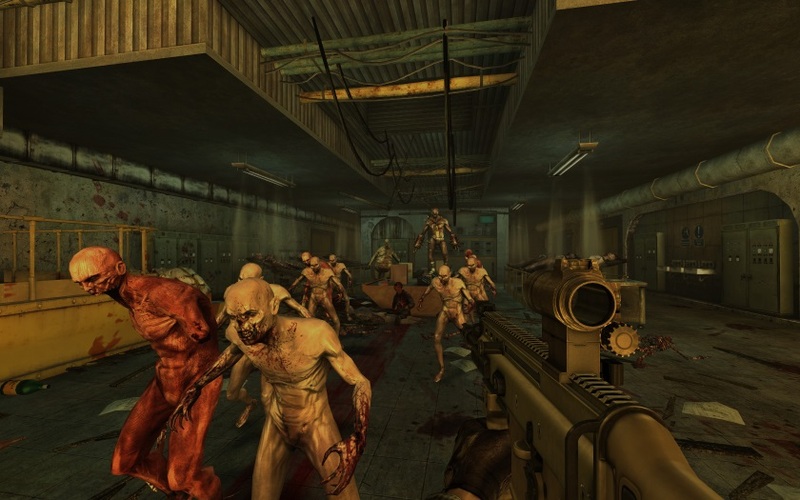 Killing Floor is one game we couldn’t get surround sound working on unless we booted back to XP. The second option is to use a software wrapper. Not the kind that spits lyrics but the kind that translates the old legacy DirectSound software into something that can be played on modern PCs, namely OpenAL. For games that work with this system this is the most convenient option. You simply run the wrapper software, point it to your games directory and activate it. After that the game will run and DirectSound and X-Fi options should be reactivated. The most feature complete DirectSound wrapper is Creative’s own ALchemy, which the company developed originally to make the transition to Windows Vista a little less painful for PC gamers with surround sound systems. 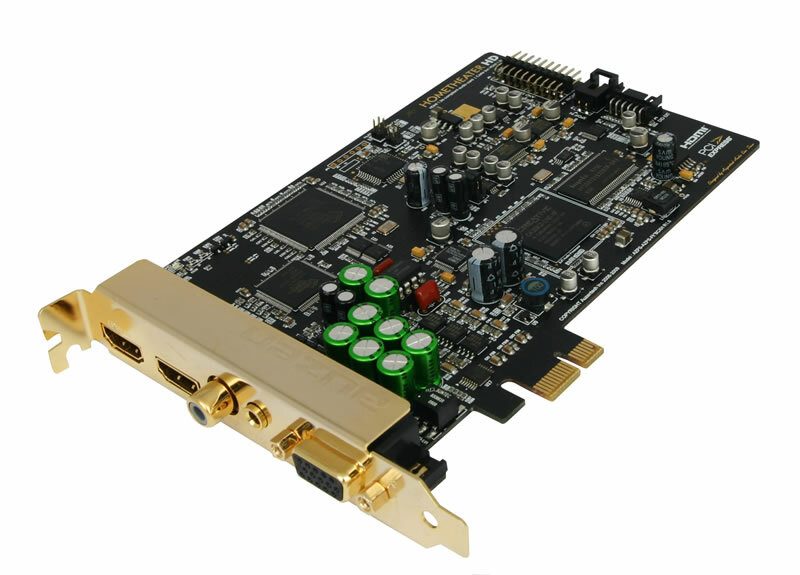 ALchemy still requires a Creative sound card with an X-Fi chipset however, and although there has been some progress bringing software like ALchemy to non X-Fi chipset cards, running it on an X-Fi card is still the preferred way. Not every game is compatible with ALchemy of course. Some games will simply crash when you try to use ALchemy with them, while others will appear to work but just don’t sound as good as they did when running with the old, true X-Fi sound system. One notable example of this is Tripwire Interactive’s excellent co-op Zombie fest Killing Floor, which stubbornly refuses to support proper surround sound under anything other than Windows XP. What does this mean for the PC gamer? Microsoft would have you believe there’s no need to use XP any more. Clearly they never played their old games in surround sound. If you plan on keeping Windows XP around, you will need an X-Fi capable card to get the best sound quality from legacy PC games. If you don’t have XP any more, it’s still best to have an X-Fi chipset card for running DirectSound wrappers like ALchemy. So far so straightforward, but what about modern games? If you only want to play modern games, you can use the HDMI audio output from most modern graphics cards. As we concluded in our article “Are PC Sound cards really obsolete?” there’s little if any need for a sound card if you’re not a PC retro-gamer. What about if you play both older PC games and newer ones? Modern games sound just fine through an X-Fi sound card. If you have an analogue speaker setup you can use any decent X-Fi equipped card and get great quality from all your games, recent and legacy. Having personally made the switch to Auzentech’s supposedly better engineered cards I’d recommend one of their cards if you can find one (Auzentech silently shut up shop sometime in 2013), but like many things in the realm of analogue audio it’s hard to prove that it makes any noticeable difference. What if you don’t use analogue audio though? In the world of home theatre, analogue audio is a relic of the past, only supported for legacy reasons. HDMI audio is now well and truly upon us. The days of trying to route 8 analogue audio cables around to a receiver to feed your surround sound addiction are well and truly over. Now you can stream up to 7.1 channels of uncompressed audio directly from your PC to your HDMI capable receiver and enjoy phenomenally good quality surround sound. Most modern Nvidia and ATI cards now support this natively, meaning that in fact modern graphics cards are sound cards too, and there’s no need to buy a separate sound card. No need of course unless you want to play older, DirectSound/X-Fi games. Where does this leave us? Well of course it’s entirely possible to leave an old sound card in your PC just for those times you want to play older games. How are you going to route the sound cards output to your receiver though? Only a handful of receivers have analogue audio inputs that support anything more than two channels. While many X-Fi cards have optical out, TOSLink and coax optical is limited to either compressed 5.1 audio or uncompressed 2.0 stereo, falling short of the full potential of any modern AV system. Is this the best sound card there ever will be? What if a sound card existed that had both the legacy Creative X-Fi chipset and also had HDMI audio out? This card could then give the highest quality audio no matter if you were running XP and a true DirectSound/X-Fi game or Windows 8 and the very latest triple-A blockbuster. Only one such card exists and that’s the Auzentech X-Fi Home Theater HD. This card is likely to be the best PC sound card ever produced, at least from a gamers perspective. Sadly, Auzentech just shut down their website one day and stopped responding to any customer enquiries, meaning the company has almost certainly ceased trading. Finding an Auzentech X-Fi Home Theater HD for sale second hand is quite difficult, no doubt as many gamers are beginning to realise just how useful they are. If you’re not lucky enough to find an X-Fi Home Theatre HD card, the next best option is a X-Fi equipped card with optical output. These cards come with Dolby Digital Live software that can encode 5.1 channels from the PC into optical audio for easy routing to any AV receiver. In this situation you’d play your modern games using the HDMI audio output and those legacy titles on the sound card. While Dolby Digital 5.1 might not be as good as uncompressed, it’s still very good and of course way better than just playing in stereo. Technology marches on and of course there will come a time when the old X-Fi hardware simply won’t work in a newer PC any more. Getting XP running on newer hardware is also going to get progressively more difficult and eventually impossible, as inevitably companies will start to drop support for the discontinued operating system. If you’re planning a major upgrade of your current PC hardware and you have a box that is still XP capable, it might be worth keeping hold of the hardware you’ve been using and building a separate box for those older, DirectSound/X-Fi enabled games. Looking decades into the future it is of course entirely possible that someone will create a full blown XP emulator with complete, accurate X-Fi and DirectSound emulation, though that seems unlikely in the short term. PC gaming has been around for decades and it’s really remarkable so many games work as well as they do, but inevitably some titles are going to work better on the hardware they were originally designed for.